1.What is the percentage of starch in wheat flour? Wholemeal flour contains 60% starch, and light-coloured flour with an extraction level of 75 to 80% contains about 70% starch. In both cases this is based on a moisture content of 14%. 2. What are the differences between the starch fractions? Wheat starch consists of about 25% amylose and 75% amylopectin. The amylose is made up of glucose chains, i.e. of linked alpha-D-glucopyranosyl groups joined to the C1 and C4 atoms, with very few branching points at some C6 atoms. One amylose molecule contains about 200-2,000 glucose sub-units. Amylose molecules have the structure of left-handed single or double helices. Amylopectin is a much larger molecule (approx. 6,000-100,000 glucose sub-units) characterized by frequent branching at the C6 atom. 3. How are starch and damaged starch determined analytically? The amount of starch in a wheat flour can easily be determined by washing the starch out and drying the suspension thus obtained. The determination of the damaged starch can be carried out by chemical end group analysis or modern enzymatic methods. In this case special enzymes are used that cause measurable conversion of materials. 4. What role does starch play in the dough, in the baking process and during storage of the baked products? During preparation of the dough the starch attaches a large part of the water used in the process to its surface. Damaged starch can even bind water at temperatures below the gelatinization point. During baking the gelatinizing starch binds the water separated from the protein and adsorbs it. When the baked product cools down to a temperature below 60 0C the starch begins to age (retrogradation or syneresis). This process is very slow at first, but at temperatures between 15 oC and freezing point the starch ages much faster. This change in the starch makes the crumb of bread firmer, a process that can be reversed partially and for a short time by re-baking. 5. Do the carbohydrates of the wheat react with flour improvers and baking agents? 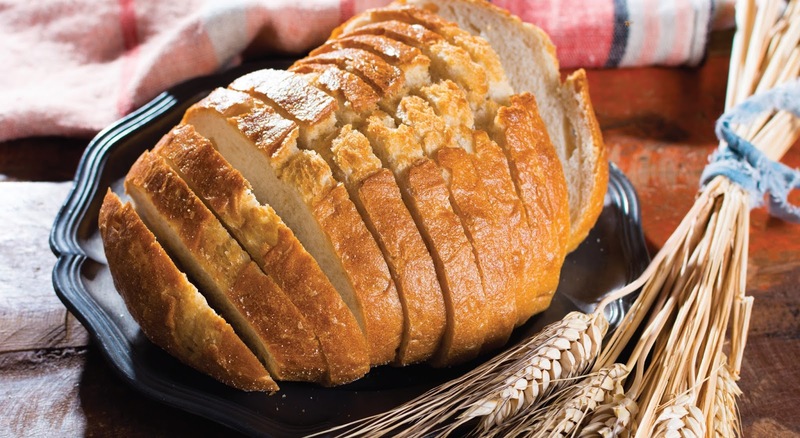 The activity of the endogenous starch-degrading enzymes is usually too slight for the production of wheat bread, so they have to be optimized with suitable enzymes e.g. a-amylase or xylanase from microbial sources. Malt flours are only of limited use, since they also contain protein-degrading enzymes that soften the gluten. 6. What are the processes that cause staling? Re-crystallization of starch, particularly amylopectin, and moisture migration from the crumb into the crust are the major causes of staling in bread. 7. Does the quality of the starch (not just damaged starch) in our flour affect the quality of the bread in addition to the usual parameters measured? For many years we have been observing a fluctuating response of the starch to rheological tests such as the amylograph. Although one and the same wheat variety may have similar Falling Numbers and even similar maximum viscosity figures in consecutive years, the gelatinization temperature may vary considerably. So far it can only be speculated that the protein-starch-pentosan matrix of the starch granules differs. In years with less moisture it is likely to be denser, so gelatinization occurs at higher temperatures. In the bread, this will be perceived as a lack of crumb softness or reduced duration of the crumb softness. Malt flour, amylolytic and also xylanolytic enzymes help to improve the situation.